We hope you enjoy your stay here in Houston, and get to meet some of the local Jewish community. Texans are known for their amazing hospitality, and as such, you will find the Shuls in Houston to reflect the same. Whether you are in town on business or vacation, would love for you to come by and visit us this Shabbos! Chabad at The Medical Center is located in the Aishel House building at 1955 University Blvd., just one block over from Main St.
See below for times and availability of services. If there is anything not listed you would like to know, or just to speak someone local to 'get a feel' of the neighborhood and the Jewish scene in town, drop us a line. Contact information at the bottom of this page. We hope you enjoy your stay in Houston, and look forward to greeting you in person! We look forward to you joining us at our community Friday night meal. Please RSVP by 5 PM on Thursday, so we can be sure to have space for everyone. A communal Kiddush lunch is held after services on Shabbat day at the Chabad House. You are invited to join. RSVP appreciated. Friday: Mincha starts 18 minutes before sundown followed by Kabbalat Shabbat. 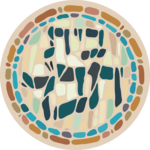 Shacharit/Musaf services start at 10:00 AM, followed by a community kiddush luncheon. Shabbat day Mincha at 18 minutes before sundown followed by Maariv and Havdala. Depending on the number of guests, we sometimes have minyanim on other days of the week. There is no Eruv in the neighborhood.